And this would be the downside to having a backyard rink. Over the past several years, we have collected enough skates, in varying sizes, to open up our own rental shop. 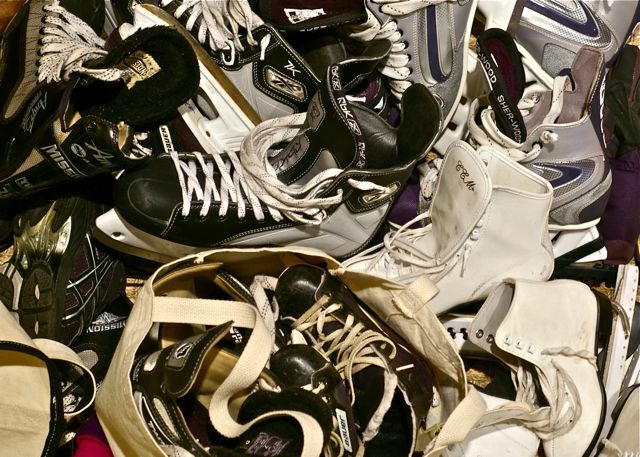 After a weekend of good ice, the pile-up by the back door includes a full complement of hockey skates, figure skates, boots, tote bags and single gloves. Maybe you should start charging admission and skate rental fees.